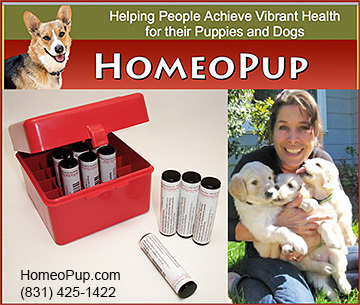 Homeopathic products for dogs offer natural solutions that work with a dog's body to help restore your dog to health and vitality. Homeopathic treatments for canines can be very helpful and effective at restoring a calm attitude, alleviating stress, or helping with illness. Homeopathic care for your dog can help your dog with a vast array of health problems and concerns.